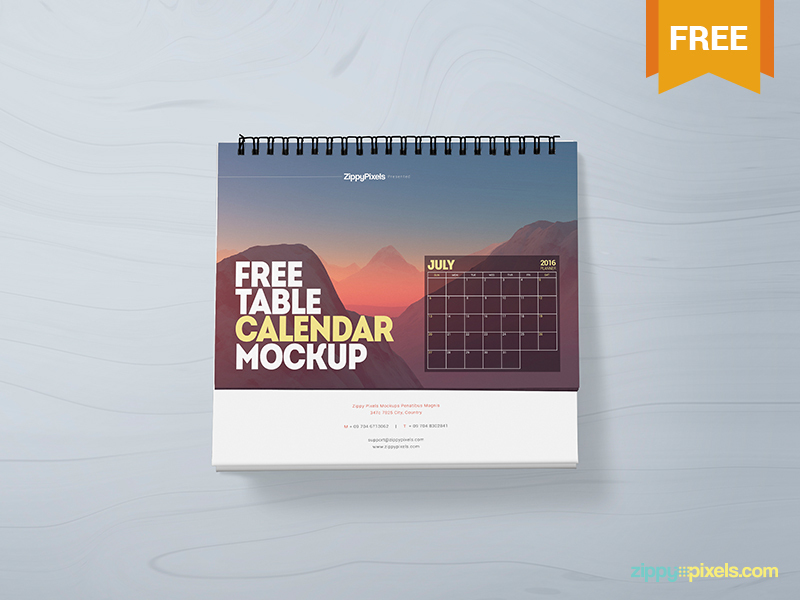 Free table calendar mockup with multiple customizations. Featuring editable calendar design and base design as well as the option to change the colors of the ring binding and calendar flap stack. 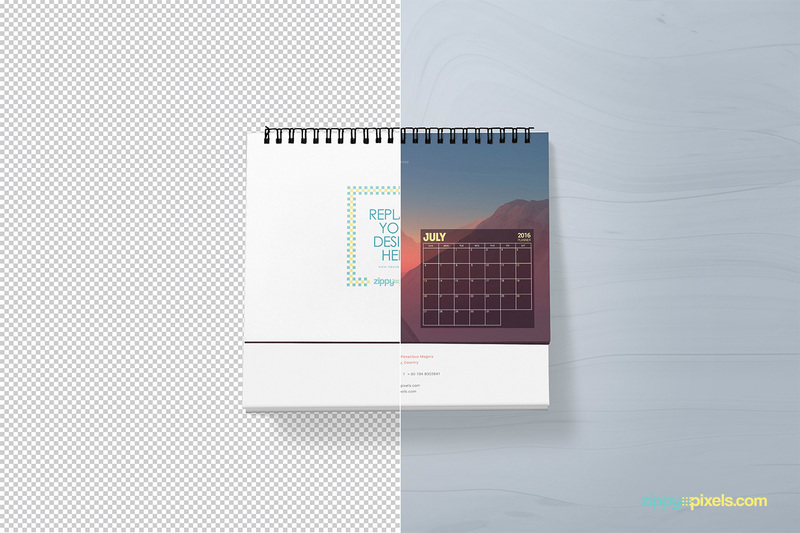 You can also customize the shadows and background of this calendar mockup.